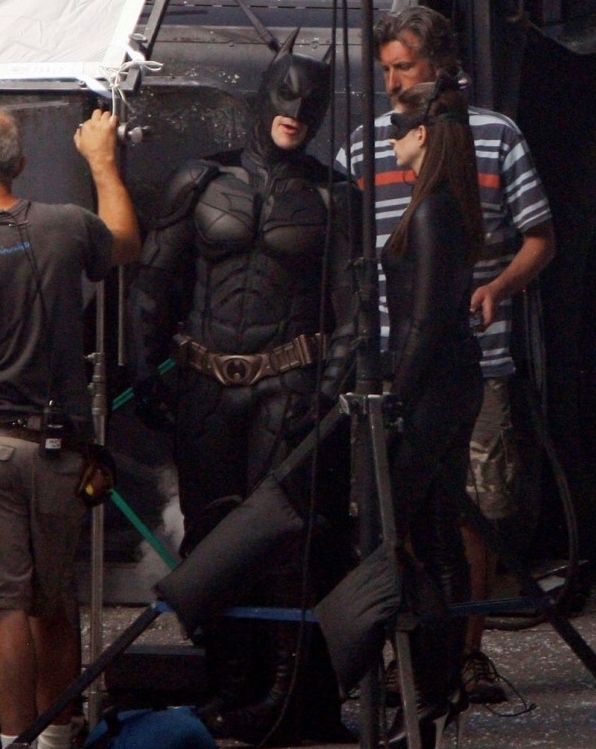 JeremyJahns.com: NEW Dark Knight Rises Anne Hathaway Catwoman Pics...With Cat Ears! 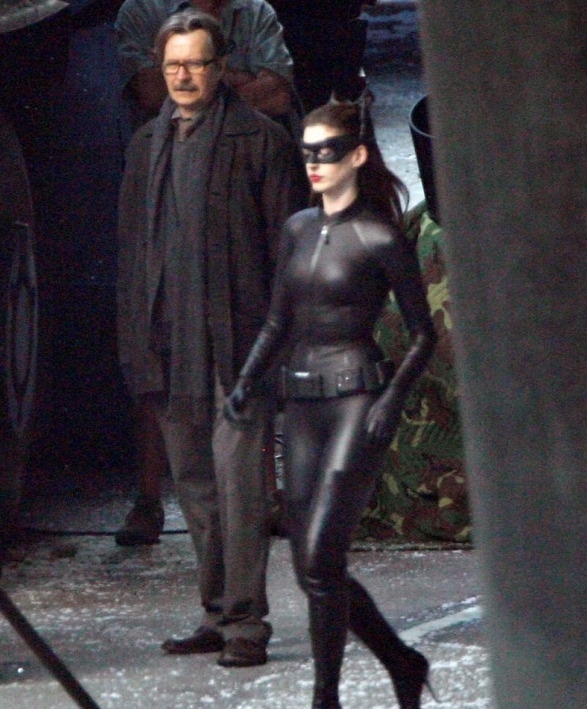 NEW Dark Knight Rises Anne Hathaway Catwoman Pics...With Cat Ears! 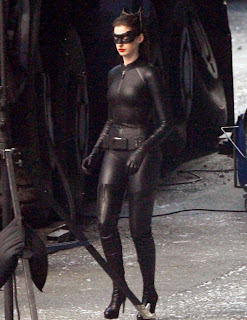 Ok, so some time ago, the first pic of Anne Hathaway came out and opinions were torn. Some liked it, some didn't, most mentioned while at least 99% thought "....where are the cat ears?" 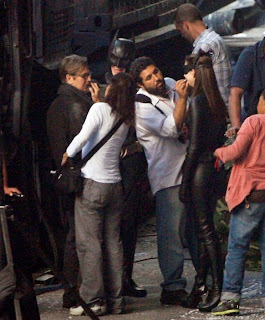 Well, we now have a pic of catwoman with her cat ears. Click the jump to check it out. Below we have pics of catwoman with cat ears, BUT no goggles that she was sporting in her origional pic. But if you look at the cat ears, you can see that they're connected to her mask. 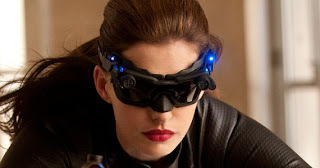 Perhaps the "ears" pivot down in front of her eyes and are actually the goggles that we saw in her origional pic? Talk is ablaze online and as usual; every pic leads to more questions. Check out the pics below and comment your thoughts. "Hey baby....I'm still not wearin hockey pads!" I have faith in Christopher Nolan, he doesn't just duct tape things together, a lot of thought goes into every detail of his movies. Anything will be better than the Haley Barry Catwoman Outfit. Still think the Arkham City Catwoman is the best I have seen in awhile. She is wearing High heels. That is ridiculous. Such a great interesting post! <a href="http://www.heels.bz/”> high heels </a> is sustainable lifestyle and latest brand"Kerri Taylor with black high heels".